Posted on March 1, 2012 by Becki M.
I’m lucky enough to have EXCELLENT lighting in my house. Like, crazy good lighting. Most of the time it annoys me, actually…no one should have to wear sunglasses in their own home. 😉 But when I want to take photos, it is pretty much perfect. There is a spot in my front room (which is the playroom/schoolroom) that I love to take photos by. There are two huge windows right behind me and then another big window to the left, so plenty of light streams through. The wall is blank with a very neutral tone (which I rarely use…I almost always use fabric as a sort of backdrop) and I usually have pretty good luck in this spot. The only thing that has been a thorn in my side is the tile floor. It is currently trendy to have wood floors in studio photography. I can see why; they are seamless, have no wrinkles, and just look nice! Was I going to rip out my tile and lay down wood flooring? Yeah right. If I’m gonna spend $2k for photography, its going to be on lenses, not flooring. 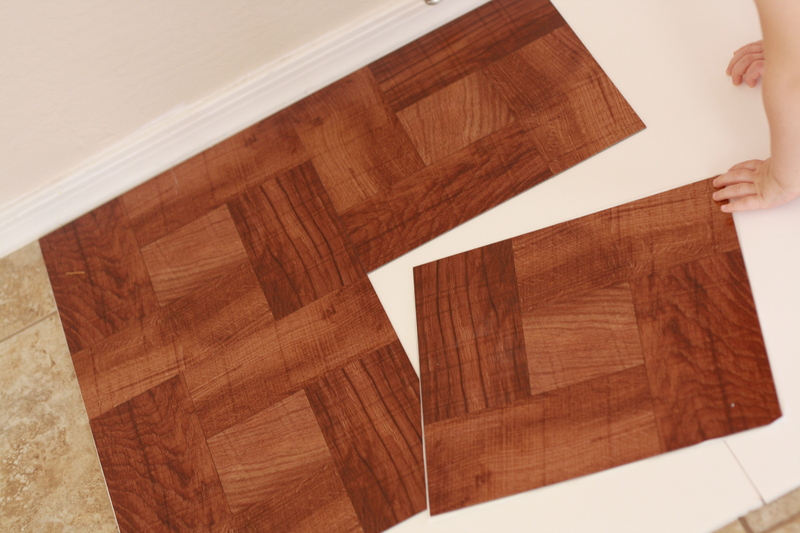 You can buy wood floor drops, but those can run anywhere from $100-$150 dollars, before shipping. And I’m not a professional! I just like to take decent pictures! So, I got the bright idea to make my own! If I wood (ha ha ha!) have known how easy this was, I would have done it a LONG time ago! Total project cost was around $32 dollars, and it took about 30 minutes to put together. 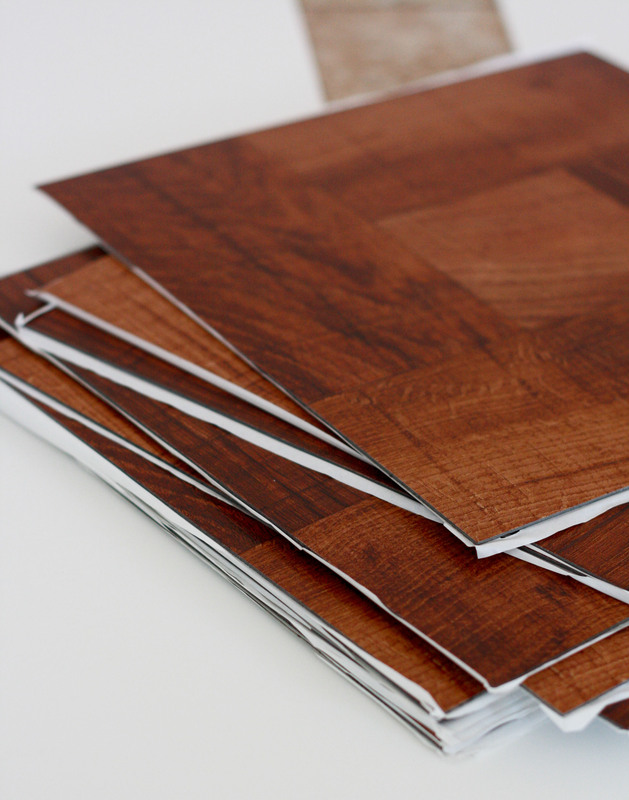 Laminate tile squares with adhesive backing in your choice of finish. I found these at Home Depot in the flooring department. They were .88 a square and I used 20. You could use more or less depending on the size you want. Foam board ( I used 6 from Walmart) OR a piece of plywood/PDF cut to size. Either will work, its just a surface to attach the tiles to. Once you have all your supplies, just adhere your tiles to your choice of base! Could this be any easier?!?!? When I finished, I flipped it over and used packing tape on the seams of the foam board to add some extra support, but if you use a seamless piece of wood, you won’t have that issue. So much better than the tile!!! I can’t wait to put it to good use! Posted in Brooklyn, Photography, Tips, Tricks, Tutorials. Bookmark the permalink.